T-Pren was developed to overcome these problems by providing a waterproof expansion joint, which reduces the number of outlets and eliminates the need for steps. 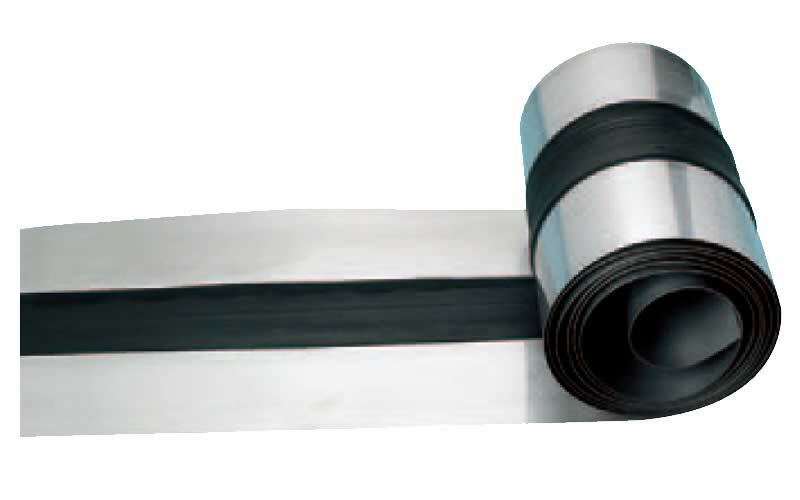 Lead T-Pren Plus was developed to overcome objections to the appearance of the black neoprene. It has a unique protective cover strip that maintains consistent metal appearance across the joint and prevents damage from foot traffic and building materials. 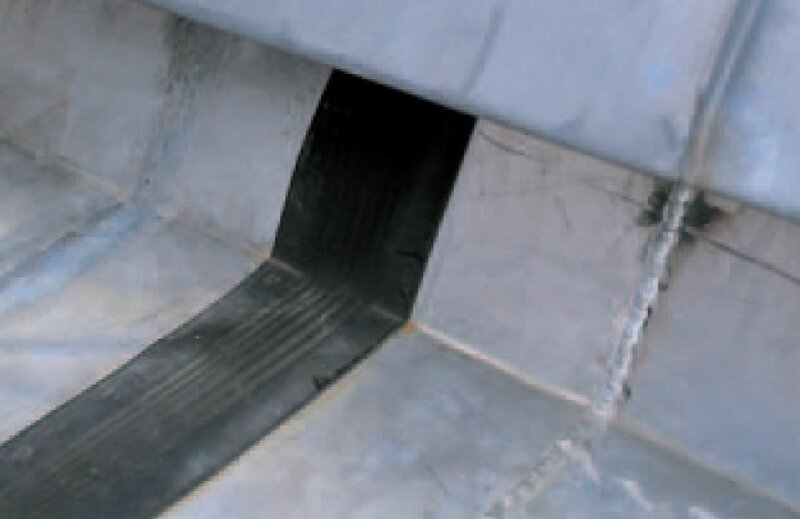 The versatility of T-Pren makes it suitable for gutters of all shapes, widths and falls. 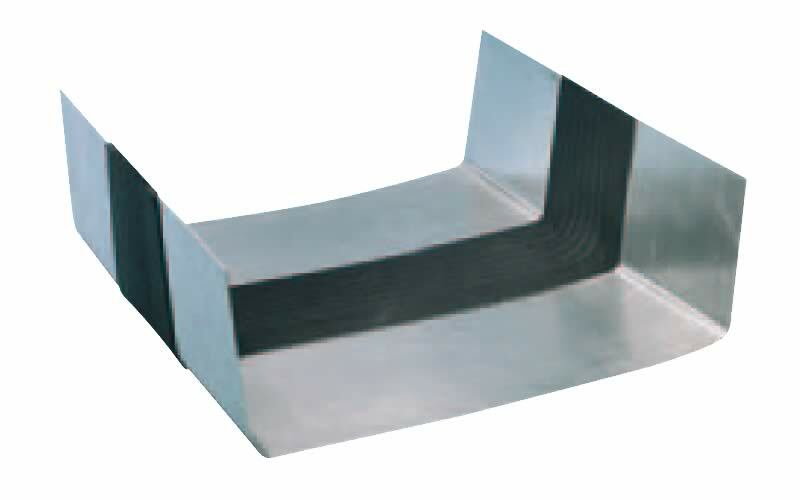 Although expansion is more of a problem in internal gutter linings, T-Pren is also used in external gutters and structural self-supporting assemblies. Different versions are available for each metal – aluminium, copper, lead, stainless, terne coated stainless and zinc. 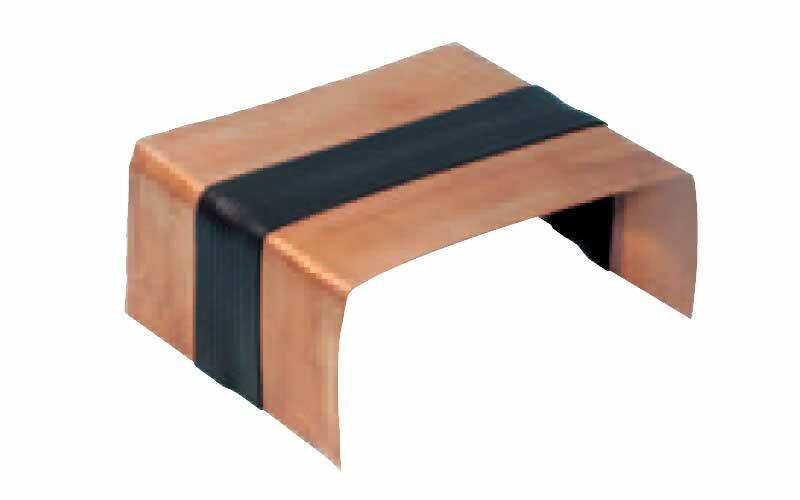 T-Pren consists of two metal strips connected by a high quality neoprene expansion joint. 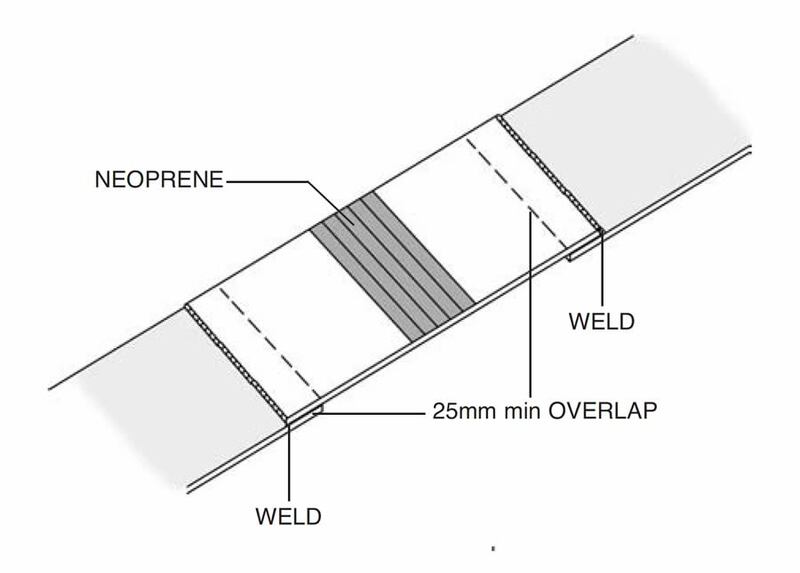 The joint is formed on both sides of the metal during vulcanisation of the neoprene, and for lead T-Pren Plus a separate cover strip is vulcanised on top of the neoprene. The strength of the double vulcanised joint has been proved by the 25 years of service without failure. 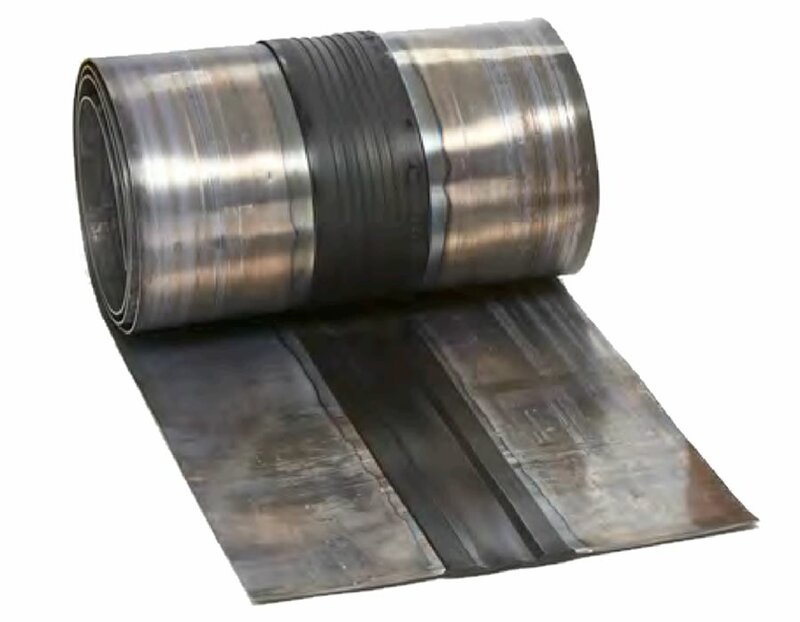 Lead T-Pren is supplied in 3 metre long coils and the other metals in 6 metre coils. Lead T-Pren Plus is supplied in 1.5 metre coils. Other metal gauges and roll lengths are available to special order. The weight of the T-Pren coils is 12kg for the aluminium, 15kg for copper, stainless, terne coated stainless and zinc, and 25kg for lead. Lead T-Pren Plus weighs 17kg. 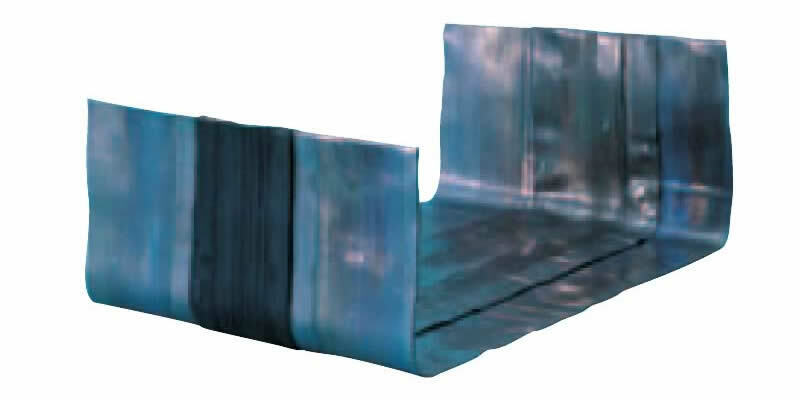 T-Pren is designed to provide a waterproof joint which accommodates the expansion/contraction caused by extremes of weather. Localised water ponding may occur behind the neoprene but this will not affect the life of the joint. The neoprene section of T-Pren is resistant to chemical attack and so is suitable for use in rural, urban, industrial and marine atmospheres. It is also resistant to attack from timber preservatives, lichens and mosses. T-Pren is resistant to ultra violet and ozone, and has been used without failure in very hot climates. The properties of the neoprene are not affected by temperatures in the range -40°C to +100°C. T-Pren is guaranteed for 10 years, and has been in use for over 25 years without failure. Tests indicate a life of over 50 years. It has been widely used throughout Europe and the Middle East, and so has been used in a wide variety of situations covering intense heat and cold, wind and rain. The metals are used in their standard mill finish and so vary from light grey for aluminium to dark grey for lead. The neoprene is black and where this might be unsightly, over parapets or on external gutters, T-Pren Plus can be used or a cover piece of the matching metal can be clipped over the top. 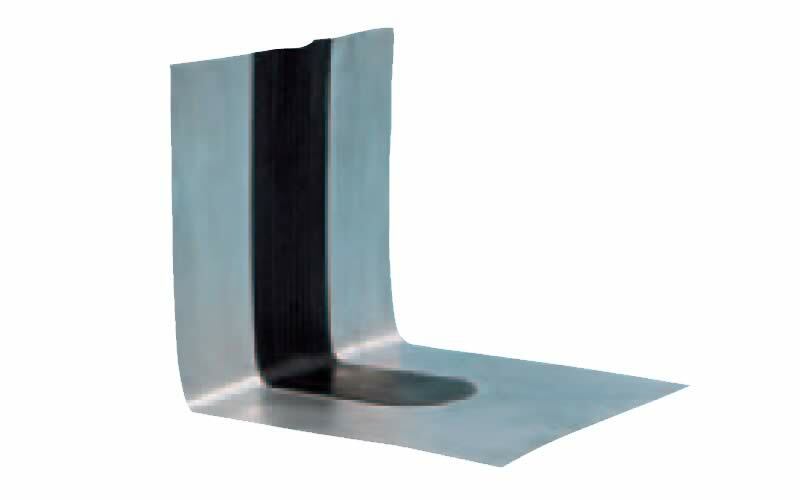 Lead T-Pren Plus has a protective cover strip that maintains consistent metal appearance across the joint and prevents damage from foot traffic and building materials.